Our second, and first proper, game of SP2 was remarkably more successful than the first. The rule’s systems now becoming embedded and making sense and providing an engaging, often tense and very entertaining game. This was a basically an encounter fight between two similarly sized French and British forces. On paper the British were technically superior in points but not by much. The roll for position found the British forced into the corner between a wood and a farmhouse and the French, in space, having much more room for maneuver and some useful cover which they used well. 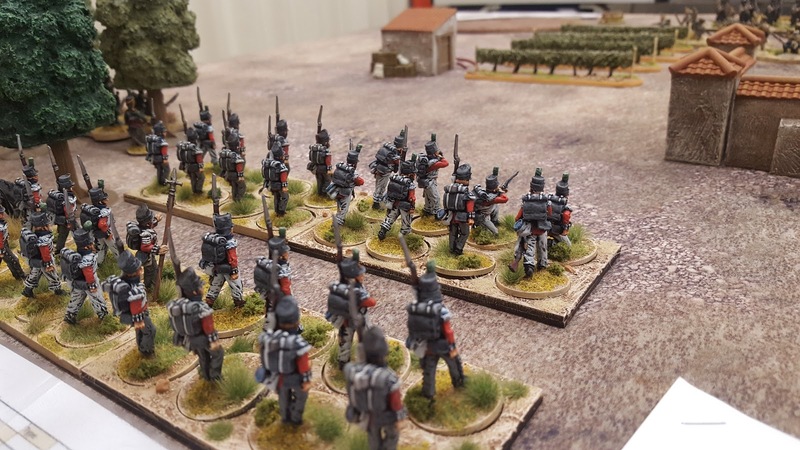 The British were unable to deploy their formation into a full line. 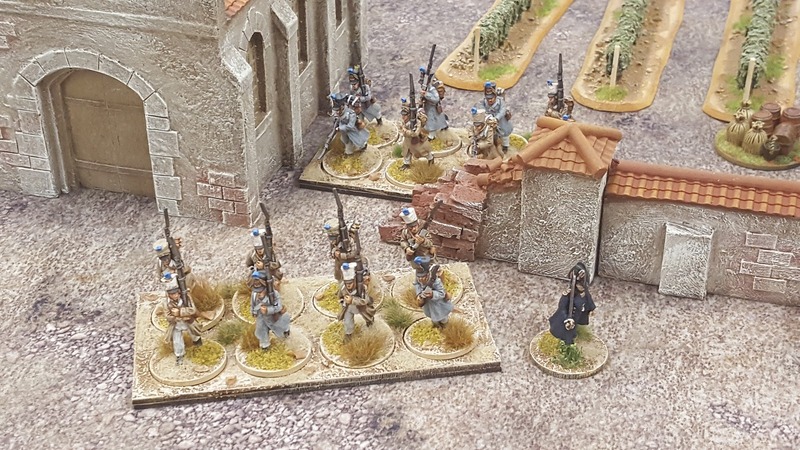 However, it was a close run thing until the French skirmishers struck a mortal blow to the British senior commander. The British were unable to recover and no replacement appeared from the ranks. 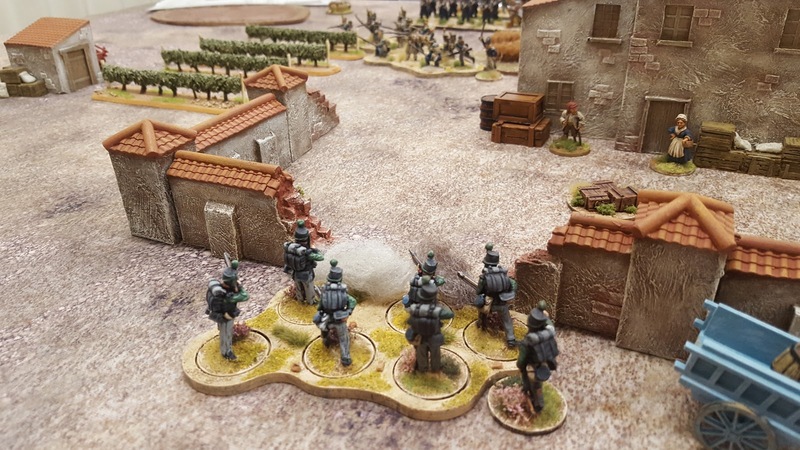 Numbers proved decisive in the end and the French were able to bring guns to bear quickly and efficiently to deal the killing blows. 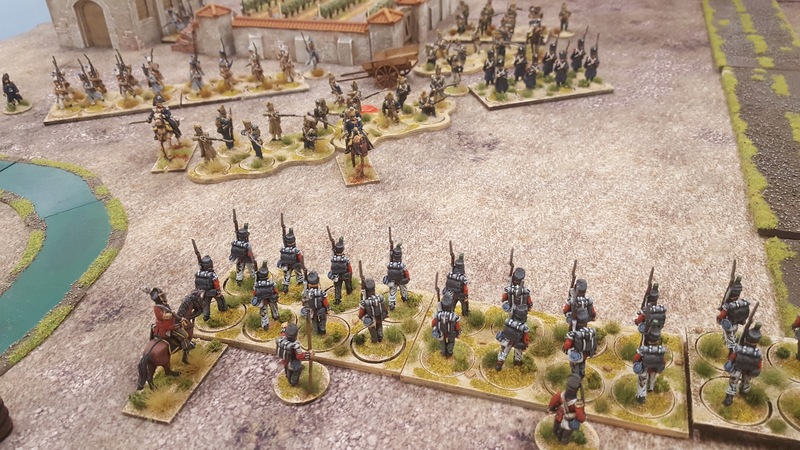 We played our first game of Sharp Practice 2 at the club this week using a collection of Peninsular Napoleonics. We were using two similarly sized forces of French and British who were basically stumbling into each other and getting into a firefight. The idea being to start with something simple enough to get the fundamentals sorted. So while we attempted to ‘play’, it quickly became more of a muddle through the rule book and a testing out of various mechanics! This isn’t a bad thing as there’s clearly a lot more of the game to work out so we’ve decided to run it again next week and give it a chance to embed.